Fill out the consultation form to schedule a time to receive a free 15-minute managed IT services consultation and quote. Why Pine Cove Flex Protect? Your organization has either; BEEN attacked, is currently BEING attacked or WILL BE attacked by cyber criminals. 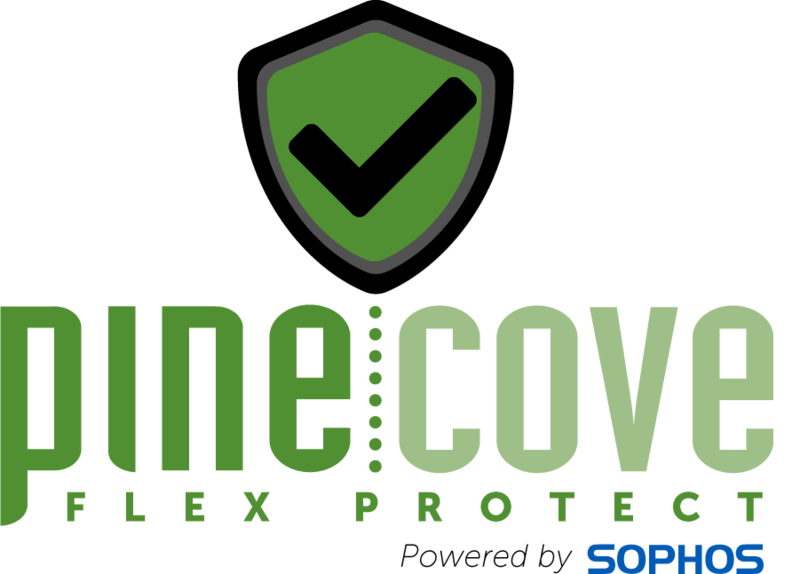 Pine Cove Flex Protect provides your organization with the knowledge, the vision, and the solutions to secure your assets. With Pine Cove Flex Protect, organizations pay Pine Cove Consulting on a month-to-month basis to manage all aspects of security within your organization. This includes prevention, detection, and remediation of all cyber crimes. This also includes access to our help desk for implementation and management of all software. Our combination of software, as seen on the right, will protect every possible entry point into your organization from cyber-crime. 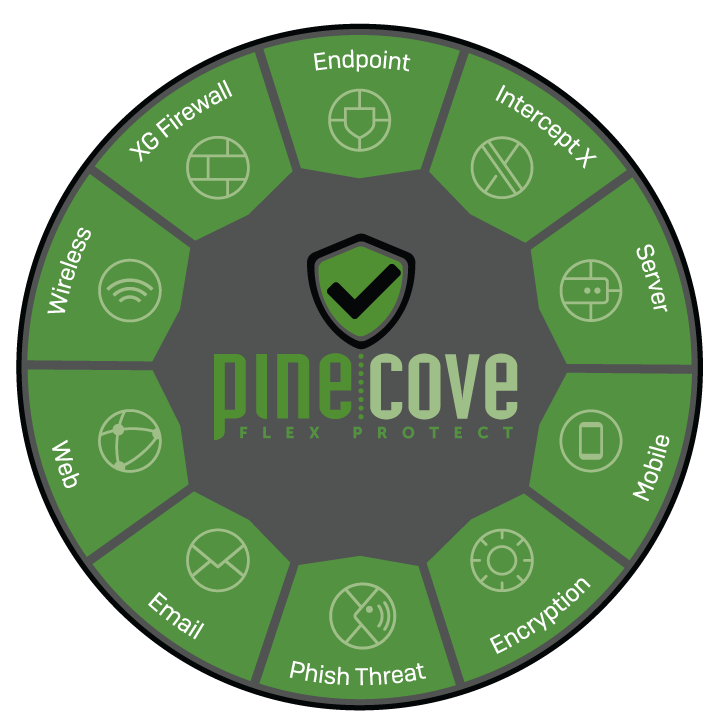 Ultimately, Pine Cove Flex Protect will put you in the best possible position to avoid the detrimental effects of cyber attacks. With employees stationed across Montana and Wyoming, Pine Cove Consulting is prepared to meet you managed IT service needs. Pine Cove has been working with clients across Montana and Wyoming for over 25 years to improve educational institutions, government agencies, and business's cyber-security, infrastructure, and communication technology. Having comprehensive cyber security protection is more important than ever before. Don't risk your precious assets and hard work by hoping the inevitable cyber attack doesn't happen to you. Enjoy peace of mind by investing in the security your organization deserves. Don't worry about implementing new software as you grow. Flex Protect is completely scalable and grows with you. Technical support is always just a phone call or email away. We manage all aspects of your cyber security so you don't have to. Our cyber security protection will save you money by centrally managing all your software and saving you the costs of the inevitable cyber attack. Interested in adding VoIP phones or Office 365?